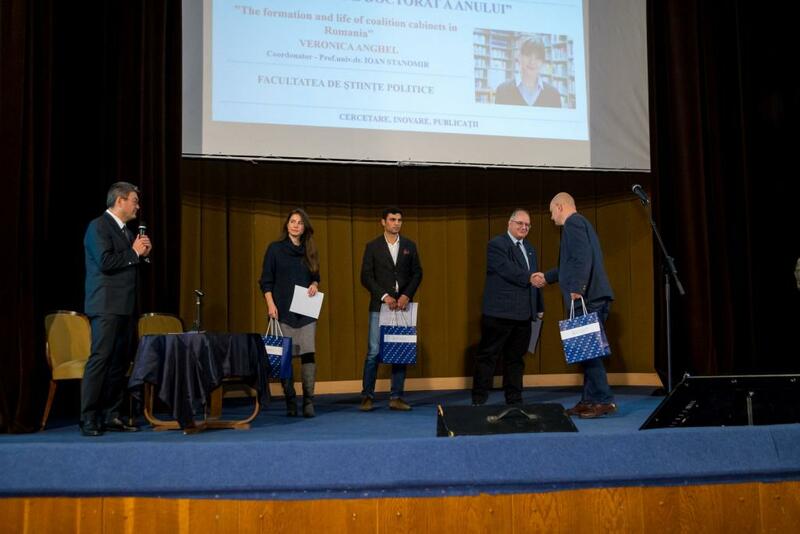 The University of Bucharest awarded authors of the most valuable PhD theses of the academic community in December 2018, at the second edition of the Senate Awards of the University of Bucharest. 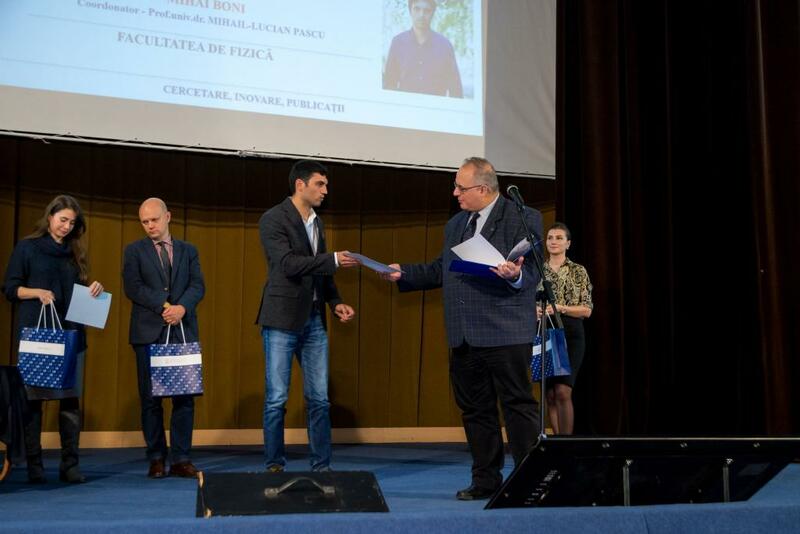 The "Best Doctoral Thesis Award for Exact Sciences and Engineering" was awarded to the study "Studies on the behavior of fluids in the field of laser radiation", author Mihai Boni from Laser Department of the National Institute for Laser, Plasma and Radiation Physics, having as scientific coordinator Prof. Univ. Dr. Mihail-Lucian Pascu, Faculty of Physics of the University of Bucharest, CS 1 at the National Institute for Laser Physics, Plasma and Radiation Physics. The original results presented in this thesis focus mainly on laser interactions with suspended liquid drops in open air. These studies are interdisciplinary covering several areas of fundamental and technological research, such as: microfluidics, spherical resonators, optofluidics, spontaneous emission amplification effects and / or stimulated emission in optical spectroscopy. The obtained results, thought belonging to fundamentals of physics, have potential applications in: detection in biological systems, tunable micro-lasers, biomedical applications, environment quality monitoring. During these studies, both the resonant and non-resonant interactions at the exposure of suspended droplets to laser pumping beams were monitored and evaluated. Resonant interactions occur when solution components (for example, molecules) of assay medium absorb incident radiation, usually the effects consisting in passing molecules from fundamental singlet state to an excited singlet state. The return of excited molecules to corresponding fundamental singlet states is accompanied by either fluorescence emission, or phosphorescence, or non-radioactive processes. Another possible effect is the dissociation of absorbing molecules and production of new substances derived from parent molecules. This is specific to laser photochemistry. Non-resonant interactions takes place when laser beam is not absorbed by the droplet constituents. Their effects are due to the pressure of light exerted on droplet, to electrostriction forces and to local and/or global thermal changes in the droplet. Congratulations to our colleague for the work done in the design and development of this doctoral thesis! Congratulations to scientific head, Prof. Univ. Dr. Mihail-Lucian Pascu, as well as the entire, Laser Spectroscopy and Optics, research group! 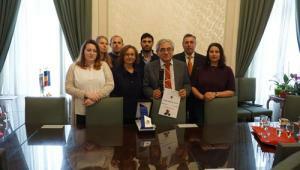 The Bucharest University's initiative to award these prizes seeks to recognize the academic performance, research and civic involvement of members of the Romanian academic community. 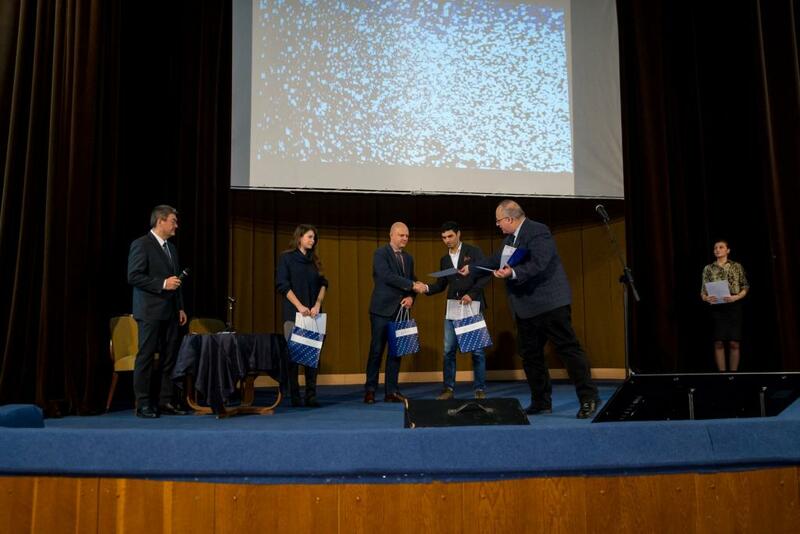 Prizes have been awarded in the fields of humanities, social sciences, life sciences and the earth, and exact sciences and engineering, for education / training and research, innovation and publications, as well as for emeritus teachers, associate professors, alumni and employers. The distinctions were offered following a selection process attended by the Senate members of the University of Bucharest. 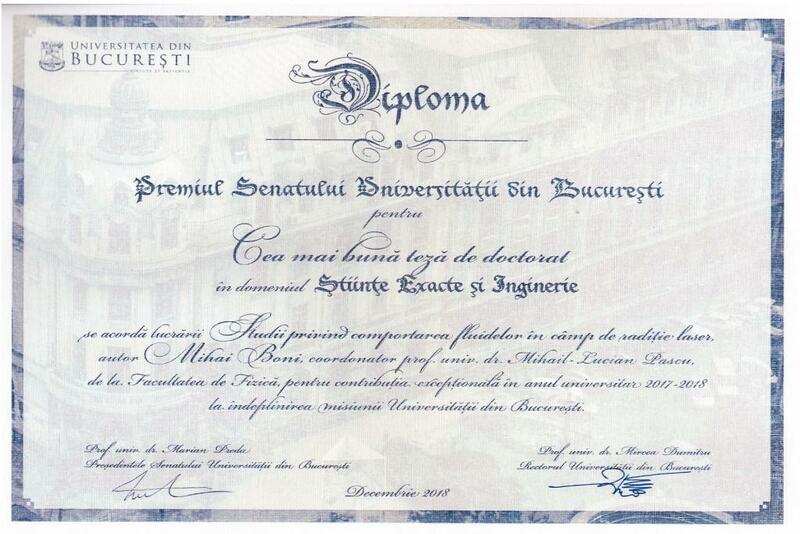 Further information about these prizes can be found on University of Bucharest website.